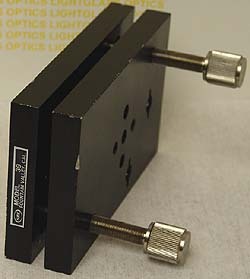 The Newport 39 Tilt Platform provides two adjustments of tilt across two axes. Anodized Aluminum with 2 40-pitch adjustment screws. Top has a pattern of 1/4-20 holes for mounting your items.